In a statement issued early Friday afternoon to his staff and colleagues, Eagan, Minnesota-based, board-certified dermatologist, and Clinical Professor of Dermatology, Charles E. Crutchfield III, MD announced that his medical practice would not be conducting dental examinations, filling cavities, or otherwise engaging in dentistry of any kind. We have never considered whether physicians and their assistants performing dental procedures is illegal because we would never expose patients to risk from procedures we do not specialize in. 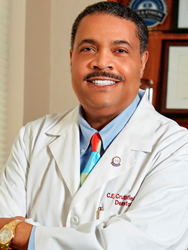 In a statement issued early Friday afternoon to his staff and colleagues, Eagan, Minnesota-based, board-certified dermatologist, and Clinical Professor of Dermatology, Charles E. Crutchfield III, MD announced that his medical practice would not be conducting dental examinations, filling cavities, or otherwise engaging in dentistry of any kind. He stated the decision was irrevocable and would be effective immediately. However, wouldn’t turnabout be fair play? Not for Crutchfield. While Dr. Crutchfield states that his position is one of ethics and integrity, it may also be a matter of law. Under Minnesota Statutes, the practice of medicine is clearly defined to include injections like Botox, just as dental care is limited to dentists. “We have never considered whether physicians and their assistants performing dental procedures is illegal because we would never expose patients to risk from procedures we do not specialize in,” Crutchfield explains. Does his ethical stand on patient safety make Crutchfield a hero?